This one will be relatively short and sweet, for the need is urgent. Monique (Monika) Kierach is a horse-loving woman who possesses one of the kindest hearts on this (or any other) planet. 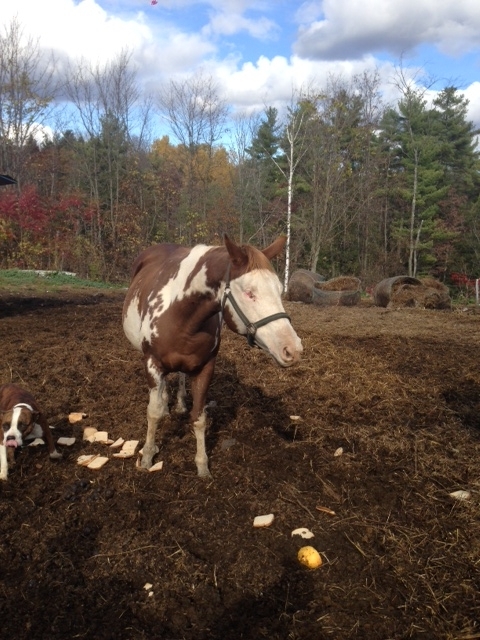 She cannot stand to see a horse in pain–or neglected, abused or otherwise ill-treated. I know that you all feel the same, or you wouldn’t be reading this. 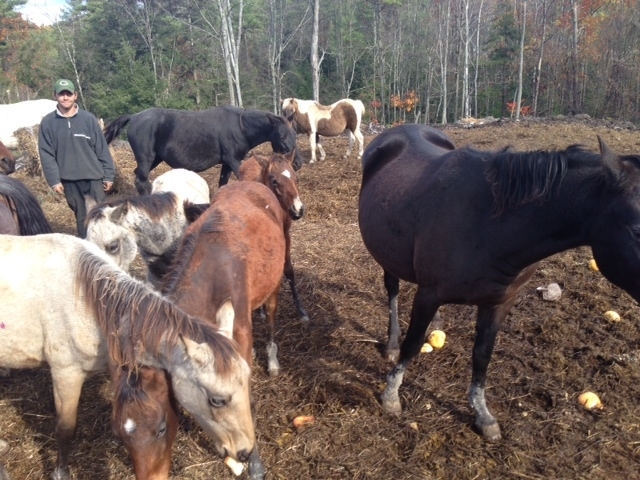 Monika sent around an email, and a request: help her rescue this herd of horses from a man whose just not doing right by them. You’ve always wanted a horse? You love horses as much as Monika and I, and want to do something? 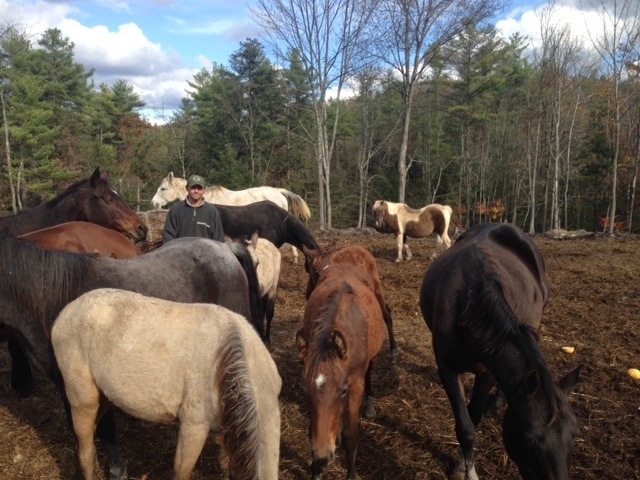 Our girl Monika was driving back from New Hampshire, when she came across this “paddock” (for lack of a better word) filled with horses in dire need. Their owner either doesn’t have the financial means and the wherewithal to know how to take care of them correctly. These horses are hurting, friends. 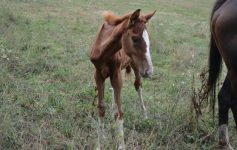 * Pregnant mares and babies who were born this past summer, and last year. * The guy is trying to get rid off most of the horses–and we do NOT want them to find their way to the slaughter auctions, do we? 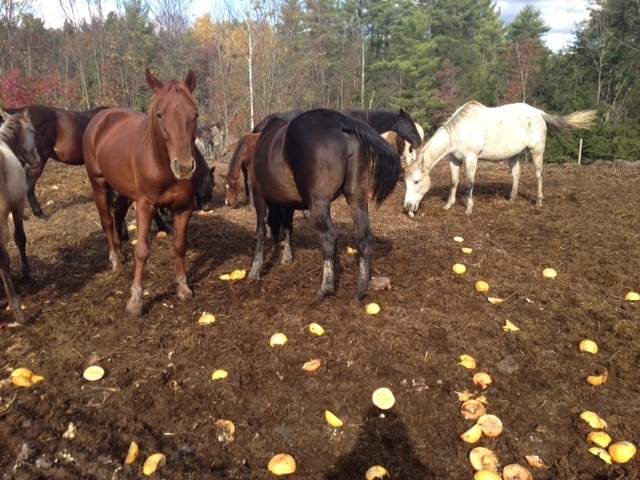 * Check this out: People bring fruits, veggies and breads–and that’s what those horses eat! 🙁 Monika saw him feeding them old bananas and grapefruit rinds. No, really. I’m taking a wild guess here that, like so many welfare children–they’ve never been to a veterinarian, either. Never tasted the goodness of a flake of Sweet Timothy. Monika will help you get the horse to your home. They all need a new home. Please respond–please pass on this article to everyone you’ve ever known. These animals are standing knee-deep in mud and their own…well, you know. 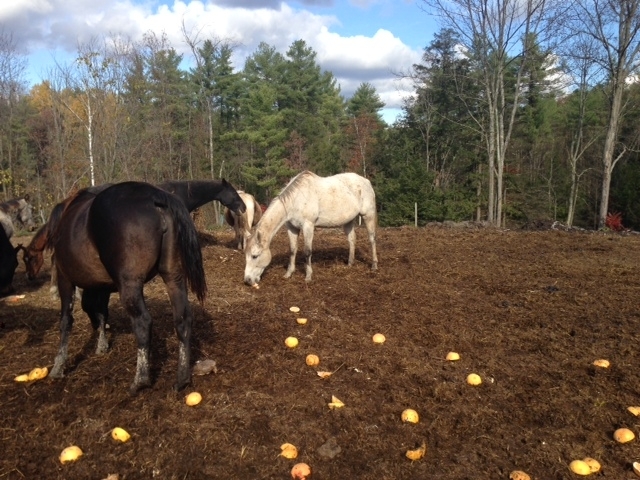 These horses are not living the lives of Thoroughbreds in Kentucky. But that does not mean that they don’t deserve love, care and affection. 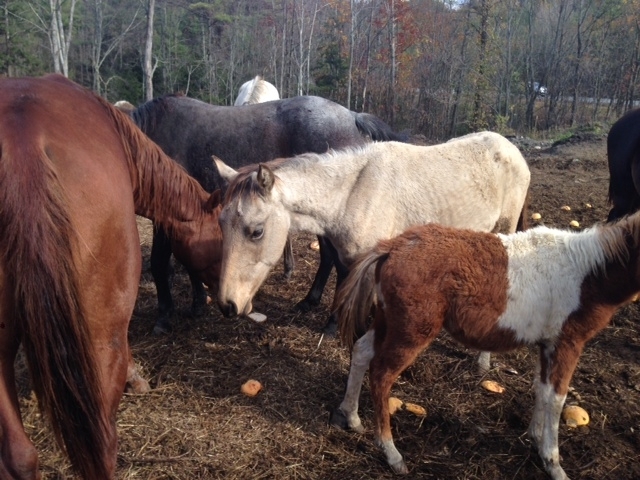 Everyone needs and deserves love–and no one more than these sweet horses. Listen, I know Monika, and I know that she won’t sleep until every one of these horses is placed in a loving home. I wept when I saw these photos–I hope you do, too. Please call Monika right now, and bring home the Love of Your Life. Thank you. God bless you, all, and God bless His precious horses. 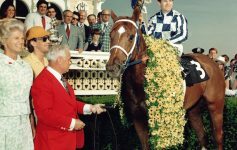 Previous Article Racing Museum Robbery: They Stole from Everyone Who Loves Horse Racing. Next Article Arabian Horses Will Race Today, Breeders’ Cup Friday. Race 11: You Love, You Bet–Everyone Wins.